Having researched productivity for more than a decade, coached countless executives, and written two productivity books published by Penguin Random House in 12 languages (Hyperfocus and The Productivity Project), I’m confident that I can help you out in the productivity department. 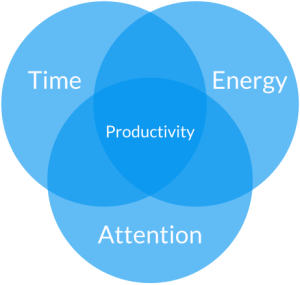 My coaching philosophy is simple: Our productivity is the sum of how well we manage our time, attention, and energy. By managing all three better, we accomplish more of what’s important, while we also carve out more time for what’s meaningful. How it works: Each week we have one hourlong coaching call, and I’ll also personally keep you accountable, via a messaging app, each workday. If you’d just like the call, we can do that too, but I’ve found that having an accountability partner can dramatically increase your odds of success. Pricing and availability: My rates are in line with the fact that my coaching is geared toward executives and established professionals. Additionally, at any one time, I try to help out just a few people so I don’t spread myself too thin. I currently have the availability to help out one additional client. Interested/want more information? Please shoot an email to chris@alifeofproductivity.com. I look forward to helping you! Or, just fill out the form below and I’ll reach out to you directly with more information.